Photos that depict the relationship between humans and the nonhuman world, mostly in New York and mostly by Pace University students, staff, and faculty. Moderated by Michael Finewood (mfinewood at pace dot edu), Anne Toomey (atoomey at pace dot edu), and Angelo Spillo (aspillo at pace dot edu). Find us at Pace's Department of Environmental Studies and Science. 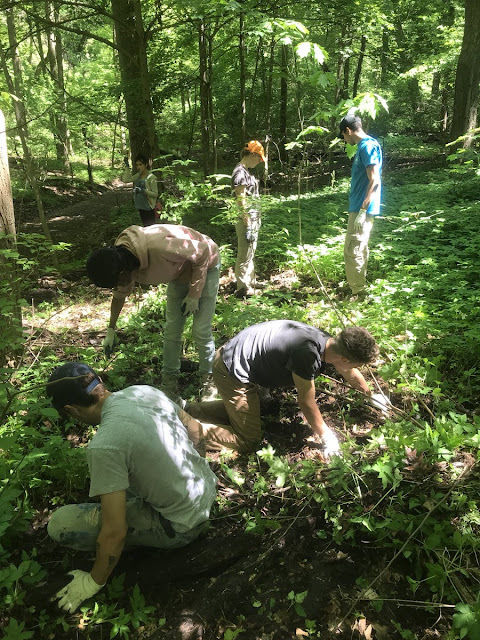 Students pull out Goutweed and explore the caves of Inwood Park. Photo by Kaylyn Murphy.